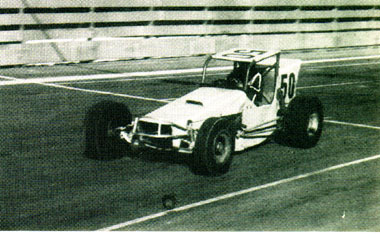 In 1967, Nolan started running USAC sprinters. 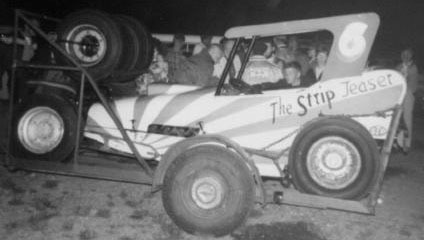 I believe USAC had a rule that you couldn't race elsewhere under your own name, so Nolan would show up at supermodified events hauling his classic "Strip Teaser" and racing under the name "Joe Chance". 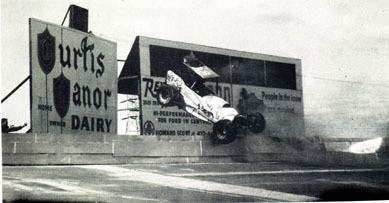 A classic shot of Nolan in the "Strip Teaser" car, backing out over the 2nd turn wall at Oswego. That is photographer John Hill yelling at Nolan to "STOP!". 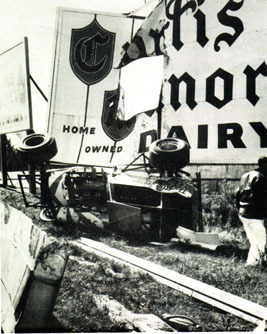 Nolan's car lies on its side after poking a big hole into the Curtis Manor Dairy billboard. They could not get the car back together in time to race in the '67 classic, so Noley climbed into Persh Pollock's #50, qualifying 19th and finishing 4th. Nolan kneeling beside the Persh Pollock #50, 1967. 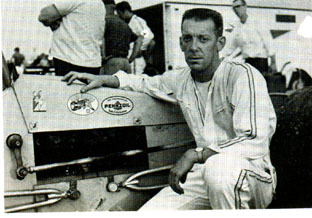 Nolan Johncock finished 5th in the 1968 classic in the #50. 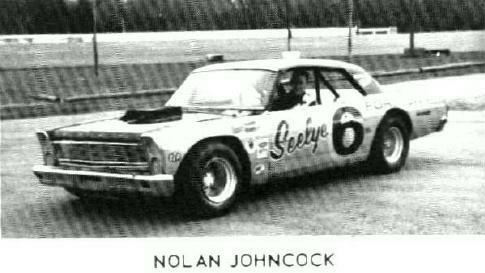 Noley also drove this Ford late model at Berlin in 1968.